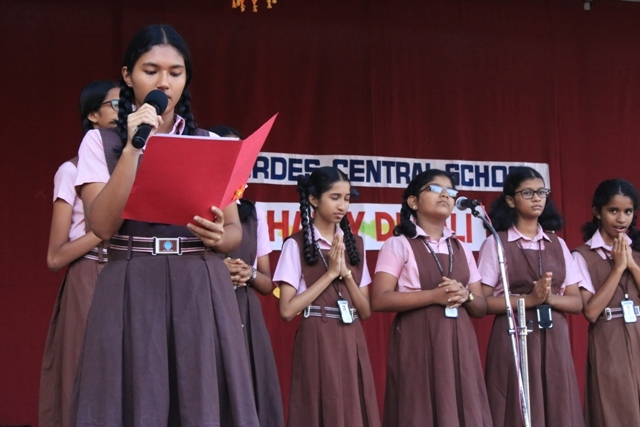 Diwali, the festival of lights, was celebrated at the school during the general assembly on 7 November, 2017. 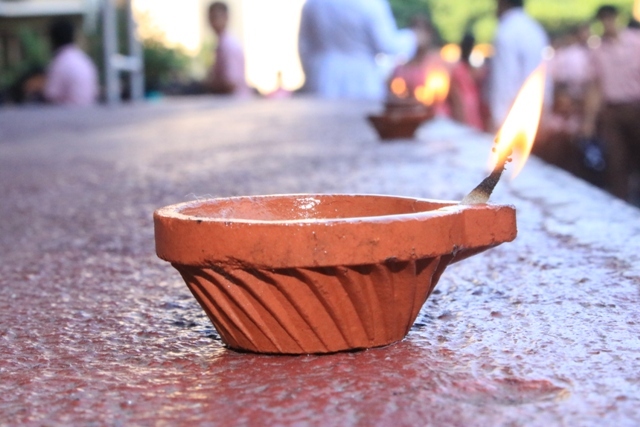 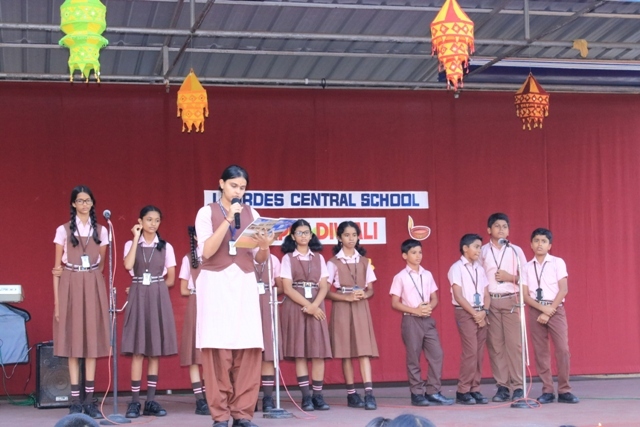 Diwali songs were played as the students and staff members assembled on the school ground. 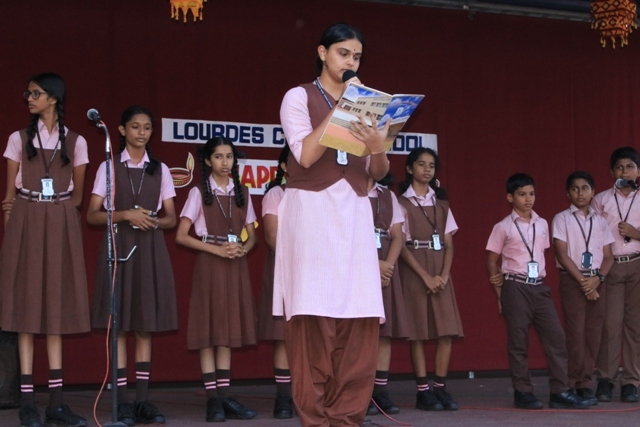 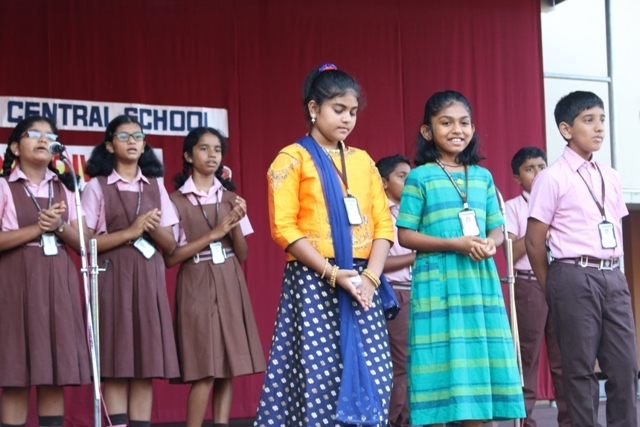 The students of class 10 conducted the assembly. 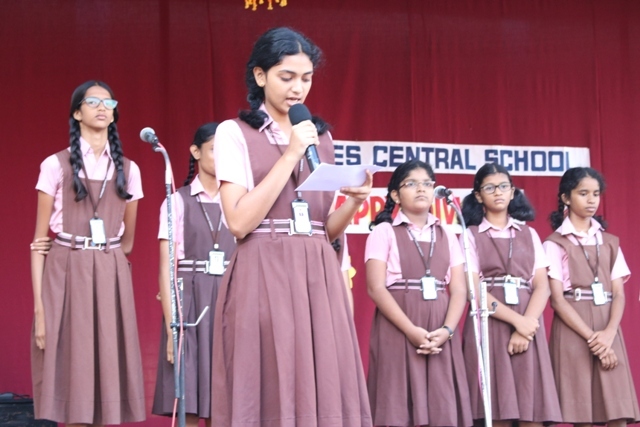 The choir minister of the school came forward to speak a few words about the importance of the day; its history, significance, traditions, and celebrations. 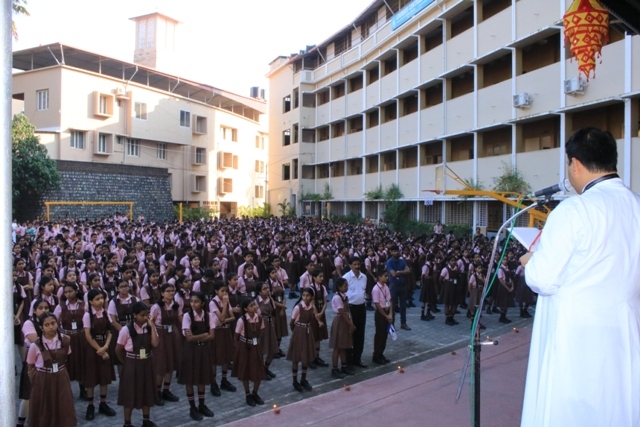 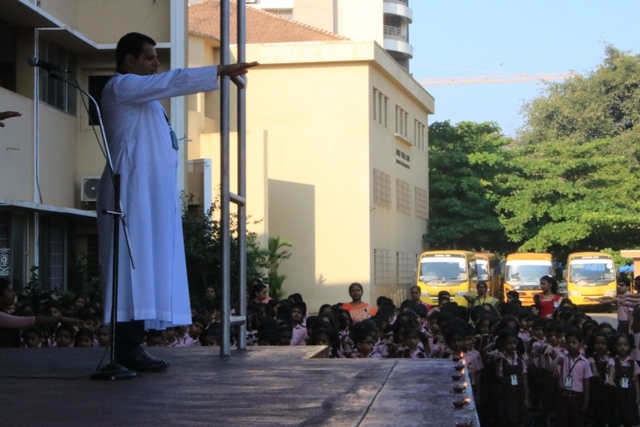 The Principal, Rev Fr Robert D’Souza spoke to the children, explaining how it is a festival of lights, joy, and love, and also slipped in the importance of making it eco-friendly. 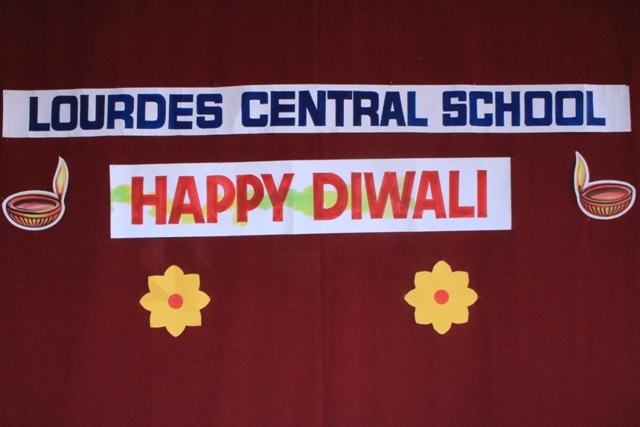 He concluded his speech by wishing all a happy and safe Diwali.